For a few days of my recent vacation, I was laid low by a viral infection which, along with other localized symptoms, included overwhelming tiredness and emptiness. That ennui which I felt to my bones was all-consuming. I have recovered, thankfully. Regarding the malaise which I had for a few days, has given me greater empathy for two of my patients who have had a similar malaise for years. These two patients, who were independently diagnosed, one at the University of Iowa in Iowa City, and the other diagnosed by a national expert in North Carolina, have a condition now called myalgic encephalomyelitis (ME). Myalgic Encephalomyelitis/chronic fatigue syndrome (ME/CFS) is a serious, long-term illness that affects many body systems. People with ME/CFS are often not able to do their usual activities. At times, ME/CFS may confine them to bed. People with ME/CFS have severe fatigue and sleep problems. ME/CFS may get worse after people with the illness try to do as much as they want or need to do. This symptom is known as post-exertional malaise (PEM). Other symptoms can include problems with thinking, concentrating, pain, and dizziness. During my 33-year career as a family physician, I can testify that previously patients with this condition have been tested thoroughly and when no other diagnosis was found, had been referred to a mental health specialist for an assumed mental health diagnosis. The stigma was an additional burden to these patients. Having the CDC recognize this disease in July last year was a significant advance in at least providing these patients with a legitimate medical diagnosis to call their own. We fight for universal health care coverage every day so these patients will have the ability to seek medical evaluation and care in a timely manner. We fight for universal health care coverage so this illness can be researched, understood, and ultimately, be well treated at a minimum, or cured. Finally, how do people with this diagnosis affect health reform? The new twist of the Republican knife at the state level is a mandated work requirement for Medicaid recipients. My patient with the diagnosis made in North Carolina went to a disability medical evaluation and was denied. The medical examiner did not believe in the diagnosis. She is appealing the decision but it usually takes two years for a successful appeal to be granted. In the uncompromising Republican world of Medicaid, my patient, who can marginally function during the four hours a day when she is not in bed would be required to work in order to receive Medicaid. Unbelievable! It is clearly time for universal health care. In Iowa, where we almost had no insurers in the individual market, we were left with one for 2018, Medica. One is not a choice. Who knows if we will have insurers in 2019. All year the Republicans attempted, in one way or another, to repeal the Affordable Care Act (ACA). Over time, their more than 50 attempts failed, in large part because of projections that up to 20 million individuals would lose health care coverage. Because “The Tax Cuts and Jobs Act,” otherwise known as the tax reform bill, was projected to lead to only 12 million people losing coverage with the repeal of the individual mandate of health insurance, the Republicans were able to move forward with passage of the tax bill by only 3 votes in the Senate. Take these actions down to the patient level. A patient of mine is a small business owner and his level of income does not allow him to receive a subsidy through the ACA. He is paying a $2,000 monthly premium for himself, his wife, and their twenty-two-year-old daughter and the policy has a $10,000 deductible. As I have said before, I do not think high deductibles for health insurance allow for adequate health care coverage. 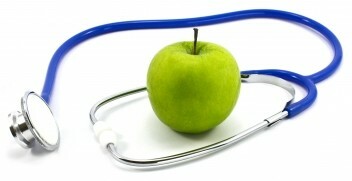 People do not seek health care to avoid paying high deductibles. Given the consequences of the tax bill, with fewer individuals signing up for individual health insurance, every health economist is projecting higher premiums for 2019. My patient is frustrated; I am frustrated. I believe 2017 will be the year that sealed the deal for single-payer health care coverage in the United States. It will not happen this year or next, but it will happen. The combined efforts of the insurance industry which for years has not cared about the individual marketplace and the Republicans who either do not understand or care about individual insurance buyers has led to unmitigated calamity for the individual health insurer for years to come. Sooner or later, in my opinion, the only solution is single- payer health care. In the meantime, hold on. It will be a wild ride where Americans, including some of my patients, will surely suffer and may well not survive. This is not supposed to happen in America—the wealthiest country in the world. One final thought: House Speaker Paul Ryan wants to cut or otherwise curtail Medicare and Medicaid benefits in 2018.